Frantisek (Frank) Bilek was born in Pizek (Pisku) Czechoslovakia on 3 December 1841. Sometime in 1865 he married a woman named Katarina in Czechoslovakia. They settled in Chicago in 1870. Katarina died on 28 November 1881 and Frank on 14 January 1911. They are both buried in Bohemian National Cemetery in Chicago. For further details, contact the Chicago Genealogical Society. 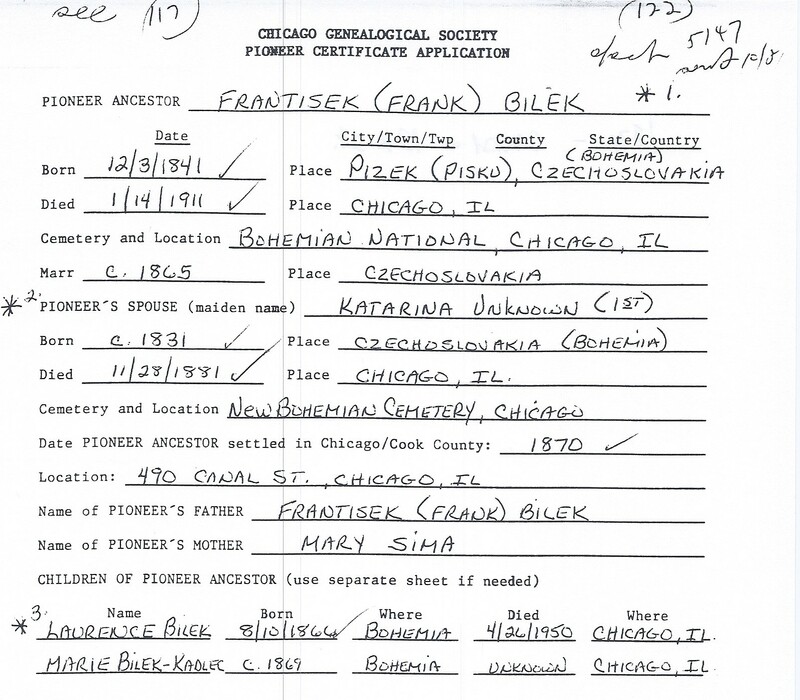 Frantisek (Frank) Bilek is Pioneer Ancestor number 122.